The so-called “Missionary Preacher of the New Evangelization” from Canada, Fr. Paul Nicholson, a man who is perhaps best known for calling attention to himself by hurling outrageous invectives at sincere Catholics, has descended to new a low. Lately, he’s been working overtime trashing the memory of Fr. Nicholas Gruner, a good and holy priest whose sudden passing apparently struck Fr. Nicholson as a golden opportunity for a little shameless self-promotion. Fr. Nicholson certainly has an obsession with money, doesn’t he? Since Fr. Gruner’s passing, even those who didn’t ally themselves with his noble cause in life have since come forward to express admiration for his tireless devotion to the message of Our Lady of Fatima, his sincere love of the Faith, and his constant exhortations to pray for the Holy Father. To hear Fr. Nicholson speak one would think that Fr. Gruner was living the high life, when in truth he managed the Fatima Center’s resources with the utmost frugality and diligence. His true colors showing through all the more, Fr. Nicholson even took to task those who lent financial support to the Fatima Center, with the clear implication being: Hey… how about sending some of that money to me! Apparently, Fr. Nicholson isn’t very familiar with it. Not yet, anyway. For years now, I’ve kept confidential my firsthand knowledge of just how Fr. Nicholson approaches the matter of obedience to lawful ecclesiastical authority in the management of his own affairs, and it doesn’t exactly paint a picture of priestly propriety. Well, I’m keeping that knowledge to myself no longer. It’s time for people to see the man behind the brocade just a little more clearly; especially those poor trusting souls who have been duped into thinking that Fr. Nicholson is a model of integrity. In mid-2013, I spent several days at the Church Militant.tv studios filming a 13 part series on Vatican II, and I saw quite a bit of Fr. Nicholson when I was there. Shortly after I arrived, I had lunch in Michael’s office while he and Fr. Nicholson discussed the logistics of getting his new venture as a “Missionary Preacher” up and running. I remember well just how happy Fr. Nicholson was when Mike told him that one of the CMTV staff members had just finished placing the order for his new Apple lap top computer, presumably the one he still uses to launch his ill-informed attacks against so many good people. I can’t say that I paid an awful lot of attention to the details being discussed since it really didn’t concern me, but even so, I was struck by the covert tenor of the conversation. Fr. Nicholson, speaking with me one on one, told me a little bit about the strained relationship that he has with his local ordinary, Bishop Ronald Fabbro. More importantly, he was excited to tell me that he was entering into an agreement with Bishop Fabbro that would allow him to work fulltime in his own apostolate. That agreement, however, comes with a major stipulation, he said. He told me that Bishop Fabbro, for whatever reason, is adamant that Fr. 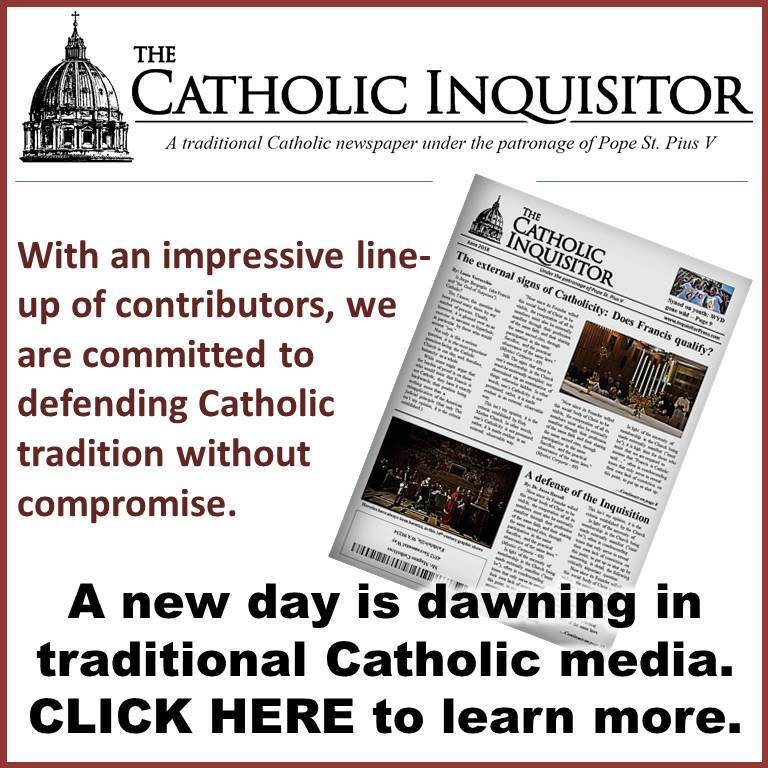 Nicholson is to have nothing to do with Michael Voris and Church Militant.tv., and the agreement to keep him incardinated in the Diocese of London, Ontario while he works freely in the apostolate is contingent upon his maintaining that separation. The problem is though, I did see him there, and not just for a quick visit. In fact, our conversation took place in the hallway just outside of Fr. Paul Nicholson’s very own office, located right there in the Church Militant.tv facility just a short flight of steps away from Michael Voris’ office. So much for giving a nod to the local bishop, eh? This, my friends, is the real Fr. Paul Nicholson; the stealthy priest who has been falsely accusing Fr. Nicholas Gruner of being disobedient to his ordinary. Looking back, I wonder what Fr. Nicholson would have said if I had asked him how he can justify disobeying the lawful ecclesiastical authority in such way, to say nothing of fomenting distrust in the sacred hierarchy by burdening a layman that he just met with the task of keeping his activities secret lest his bishop find out. If I had, I suspect he would have said something about how unreasonable Bishop Fabbro’s demand is, and how it’s really more an abuse than it is an application of his authority. I can imagine that he probably would have cited the terrible condition of the Church in our day; how much good he hoped to accomplish for the faithful, and how his secret collaboration with Michael Voris and CMTV would ultimately aid the Church in her moment of crisis. In other words, he likely would have said that there are times when the salvation of souls takes precedence over the unjust demands of the lawful ecclesiastical authority. So let me get this straight. Had you met his Bishop, say the following week, and he’d asked you if you had seen Father Nicholson anywhere near CMTV, he wanted you to LIE???? Answer would be yes. But, ya know, I’ll just bet Father “N” wouldn’t see it that way, and if you challenged him he might even say he’d been misquoted or mis-translated – after all Louie you speak Yanktalk and who knows what he meant in ‘realEnglish’ – didn’t you know it was a nudge-nudge-wink-wink situation? I was kidding!!! Don’t be so literal. Don’t be so hide-bound. Don’t be such a fundamentalist – you traddie you!!!! This is really beyond normal – it’s evil. Think how many souls are fooled by priests like Father “N” – who think jokes, personal stories, me, me, me, and spewing the new-party line will bring one viewer/listener to heaven. This is one of the most high profile priests in Canada – he has a big pulpit – CMTV, and many, many missions, retreats, conferences, one-on-ones etc. Put him together with Father Roscia, many, many lukewarm priests, dissident priests, weak Bishops, cowardly Bishops, and sadly apostate Catholics and you have the complete picture of The Holy Roman Catholic Church in Canada. How important that so-called single “obsession” he’s accused of having was and still is. It’s the ONE thing that kept us certain, during the initial years of getting to know him, and when decades later, he made a few decisions we felt we had to question , that we could never dismiss him as some kind of “rogue” priest or someone misled by the devil. He’s been called away now, and it’s up to the rest of us to keep the world aware of the one thing that can save it from annihilation. Hope we’re up to the task. Father, keep us in your prayers, as you are in ours. I’m ashamed to say that years ago before I was blessed with a complete conversion, I used to make fun of my Mother who was very devoted to Fr. 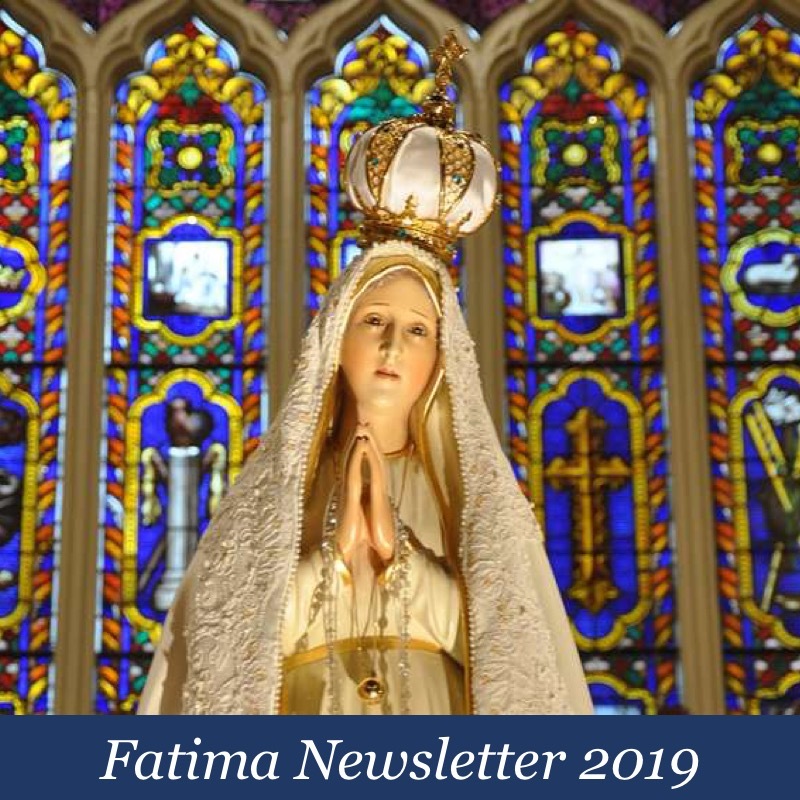 Gruner and Our Lady of Fatima…she gave money regularly to his cause – I thought she was a fool…if only I had known then what I know now – he was so faithful through all the persecution and trial. But we know Our Lady rewards her faithful servants, don’t we? THANK YOU LOUIE FOR ANSWERING A QUESTION THAT HAS BUGGED ME! You see, in 2009, I was considering having Voris come up to Chicago to talk to a group of pro-life teens that were forming in a local suburb, but I couldn’t raise the necessary cooperation so it fell through. But I was told to contact Fr. Nicholson to talk to arranging the whole thing, because the staffers told me father organizes Voris’ schedule. They gave me his cell. I talked to him for awhile, and he said it wouldn’t surprise him if it can’t be done in Chicago due to Voris’ reputation amongst church leaders in Chicago. He was clear in our phone conversation that the two of them worked and travelled together. So a few years later, when Nicholson became ugly towards traditionalists, I wrote to Rafe & asked him to tone Nicholson down because his calumny was disturbing. Rafe responded that Nicholson had no relationship with CMTV whatsoever, he’d only done a video and that was it. I emailed Rafe back calling him a liar, saying I’d had a private cell conversation with Nicholson before that told me the exact opposite. Then I blocked Rafe’s replies since they had gotten rude and insolent. A day or two later, I withdrew my support for CMTV on account of chronic mendacity there. Not just with Nicholson, but the denial of the abuse of the Mandatum with regards to the pope’s activities. Before your post, Louie, I couldn’t fathom why Rafe would lie about that relationship–I assumed he was a chronic liar. It turns out CMTV’s ministry is built on mendacity, the kind that mixes with truth. Which is the most dangerous. 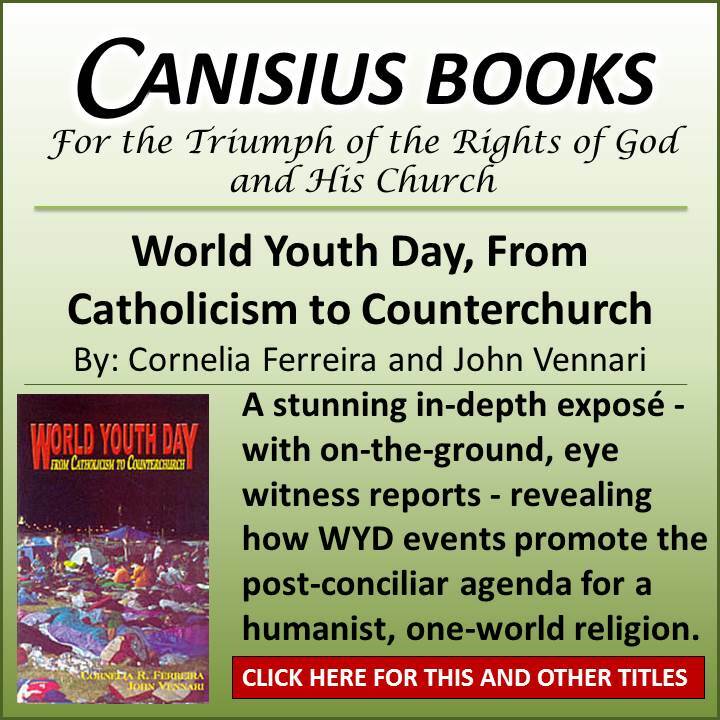 They decry Protestants, yet they published a glowing “This Day In History” sound bite on how great was the 1999 Protestant-Catholic joint declaration on justification. Hypocrites. Thanks for sharing your story. Most revealing for sure. I’m sure there are other stories like yours out there waiting to be heard in the public forum. I’ve just started a new topic in the forum on “All Things Catholic” titled, “Traditional Catholic Teaching on the end-times”. I’ve posted a couple of links from a wonderful sermon on the topic summarizing the teaching by St Robert Bellarmine. I highly recommend hearing them! I intend this topic to be focused on the traditional catholic teaching, not on the protestant “rapture” nonsense! Thank you, Louie for this revelation–which is not surprising. I also had a similar email encounter with Simon Rafe, as did Maria Regina. 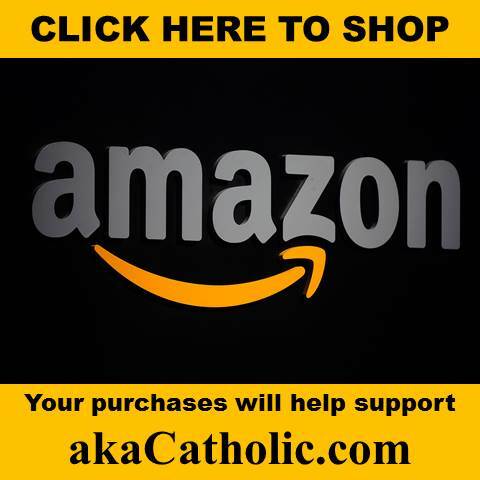 I made the terrible mistake of mentioning the SSPX–boy, did he turn ugly!!! Didn’t Our Lord mention something about Satan being the Father of Lies??? The log in Father Nicholson’s eye could have come from the giant Redwoods. There is definitely something amiss at ChurchMilitant TV where “LIES AND FALSEHOODS ARE EXPOSED”—-I guess not their own!!! Im guessing Louie thought long and hard before posting this story and it probably wasnt the easiest thing for him to do. Like they say though, evil triumphs when good men do (and say) nothing. Kudos for sharing this Mr. Verrechio. Our sincere condolences on the (temporary) loss of such a good, holy priest and friend, ( a sorrow we share). Be assured of our prayers. We were justifiably pretty angry after seeing this series of personal diatribes by Fr. Nicholson against Fr. Gruner. (Which we saw last week for the first time) It was obvious he designed this last one to inflict maximum damage to Fr. Gruner’s reputation by withholding essential and easy to find facts- which would have presented the true picture. Some of them, Fr. Nicholson obviously possessed, given the dismissive comments he interjected about them in this and other videos. How easy it is to explain that once Father Gruner had been given the option by his superior of finding a new Bishop to incardinate him–anywhere in the world, it then became perfectly reasonable for him to remain where he was and continue working, while attempting to do so; and who could reasonably have expected anyone in the Hierarchy or The Vatican would then attempt to prevent, by intimidation, ALL of the world’s Bishops from incardinating him! And to depict such a decades-long persecution as if due to his being disobedient to his vows regarding the initial instructions–regardless of all that came after– makes what Fr. Nicholson did here, worse than despicable–a matter of grave injustice, for which he will have to answer to God some day, for any and all of it that involed deliberate malice; and even if not, for the the additional misinformation he passed around using his influence and media. Hopefully in the nearer future, he will have to answer to his own Bishop. Louie, we’re thanking God you were place by Him, in just the right spot at the right time- over at the Voris studio-to be able to bear witness as you just have -to the truth about this TMAHICH-rival. It’s a bit of consolation to us who love Father Gruner, and cherish his tremendous contributions to our lives over these many years. Father Nicholson and his superior, with full knowledge of the Truth. Father Nicholson seems to have a lot of issues. One issue that irks me to no end is how he declares people “in schism!” For example, he says that the SSPX is in schism, and they are, therefore, schismatics. Well, Father Nicholson doesn’t get to decided that, and the proper ecclesiastical authority has not declared them in schism. However, the overarching issue he has is that he simply doesn’t seem to have an internal editor in his brain. If he did, wouldn’t he realize how vial he comes off as? He has been with CMTV THAT long…..oh, boy. Well, thank you for this. What a sad business. Won’t eat ‘cause they might catch a germ. For David, he sinned and adultered. Forgetting he ’fessed that he faltered. And painstakingly gag, for they’re rigorous. Along with your eye ‘cause they’re vigorous! But, oh, they’re so proud to be humble!! That was an eye opener. Mr. Louie, you were too nice to keep silent about his dishonesty and hypocrisy for so long. What nerve–he wanted to pull you into his web of deceit and thought it was funny? Gives me the creeps, especially coming from a priest… Thanks of r the revelation although I never paid much attention to him prior, now I never need to. I also appreciate the honest and revealing comments here. Father needs his own conversion before he starts correcting and attacking others. As per the opus dei cult (Fr Nicholson is an opus dei priest) – the ends justifies the means. Excellent timing Louie. Even God may delay, but He’s never late. Another thought–Everyone I know who has been in the company of Father Gruner (RIP) has been left with the impression that this is a holy, sincere, humble priest undeniable devoted to Our Lady. Not meaning to be uncharitable—I’m wondering if anyone had the same feelings after being in Father Nicholson’s company. my2cents: In my first year of priesthood, I met Father Gruner on my way over to Fatima. I cannot judge a man’s true dispositions, but certainly my impression was of a humble servant of God and Our Lady. We spoke for quite a while on the flight, and even met up a few times at various place around Fatima. Fatima isn’t that big, so that isn’t difficult. Anyway, he seemed very sincere and holy to me. Selective cynicism or would his judgement extend to the German Bishops? This doesn’t bode well for Father Nicholson or Louie. It’s clear that the flock are starting to try to tear each other apart. Fr. Nicholson having a go at Fr. Gruner, Louie having a go at Nicholson. I can’t speak for anyone else, but the veracity of what Nicholson says and what Louie says, I have no way of verifying. This sort of bickering is playing right in to the hands of the enemies outside the Church. We need all need to refocus out attentions and our energies away from this bickering. Sorry Paul. This is not bickering. Father “N” spoke openly, unasked, to the whole world wide web and said some mean things about a fellow priest. Unjust is about the best face to put on this. Louie has known that Father “N” was slightly bent for several years, yet he remained silent. Louie’s calling out Father “N” now, in response to this public injustice towards Father Gruner is totally justified. We now know that Father “N” cannot be trusted. Louie has rendered a service. You shouldn’t be suggesting Louie’s account is not trustworthy since you have no evidence whatsoever to prove otherwise. Whether you trust Louie or not is up to you, but Fr Nicholson has already proven himself to be malicious towards his fellow priests. Pointing out the truth is not “bickering” but an act of charity and even justice. Barbara said it best! “Bickering”??????? Surely, you jest!!!! I think the questions about Opus Dei, Communism and Father Paul Nicholson needs more attention. 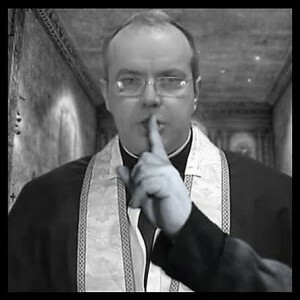 The SSPX warned Catholics about Opus Dei: http://archives.sspx.org/miscellaneous/opus_dei.htm many years ago and the SSPX & Father Hesse also warned Catholics about Josemaria Escriva de Balaguer and Communism: http://www.cathinfo.com/index.php/SSPX-on-Opus-Dei So was Father Hesse out of his head here: http://defeatmodernism.com/defeatmodernism/opusdei or was he a faithfully warning us? I never paid attention to this until I heard Voris and CMTV use the word “reactionary” which is out of the Marxist lexicon heard here: https://www.youtube.com/watch?v=3FvQso_9Tk8 So if we traditionalists are “reactionary” what would that make Opus Dei, Father Nicholson,Vericast and CMTV? What you lament here are the necessary results of the times we’re living through. Rorate Caeli published a very honest letter this past February from Archbishop Jan Pawel Lenga (written Jan 1, 2015), which reminds us of this situation, treating of the many betrayals occurring more often and regularly these days as if being systematized within the Church. he writes:”I am aware of possible reactions to my open letter. But at the same time the voice of my conscience will not allow me to remain silent, while the work of God is being slandered.” [This is perhaps how Louie felt about the work of Fr. Gruner– and his need to testify to the truth he had witnessed about a priest who was so intent on condemning him, while not holding himself to the same standards– that of someone who deserves to be rejected, having all public support withdrawn from him. With all this going on, large numbers of bishops in need of conversion–is it any wonder we have situations like this one continuing to develope over issues of authority and obedience and trust? Our answer is to continue to seek holiness, and to speak in defense of the truth, acting in true Charity, continuing in prayer. History (our record of man’s response to God in time) will vindicate The Society of Pius X, and Father Gruner (and other outcasts). Our frustration is really at the fact that God’s Millstone of Justice grinds very, very slowly! So Paul, and others who get a little nervous at all the apparent bickering and give and take, remember we are trying to work out our frustration in a safe place, where we hope to be understood. This is very helpful to me, at least. Instead of calling it “bickering”, why don’t we just call it “dialoging”? That should make everybody happy—-especially Papa Bergoglio! Fr. Michael Rodriguez and also the FFI also. Shed some light…yo brains is bread. And jumped right in wolf-sheepy’s stew. ‘Cause litto frog him do obey. I think I see what bothered Paul above. We ought to be careful and not degenerate into silly slanging of Father “N” – he should be criticized for what he said, not for who he is. The fact he may be an Opus Dei priest does not fit into our discussions about his lack of charity and duplicity, in my humble opinion. There IS a reason why people who personally knew “St” Josemaria were prohibited from giving their testimonies during the farcical “canonization” process. Before the CMTV manifesto, I watched all the free features on CMTV. I first heard Fr. N. with a two part episode of one of the broadcasts. I think it dealt with receiving Communion kneeling and on the tongue. (One must admit Fr. N. has a very distinctive voice.) Then, a while later, when CMTV launched the Mic’d Up show on one of the first several episodes, Michael accepted a call-in from a “Paul” in Canada. Yep, the very same voice as Fr. N. I remember being unsettled at the time realizing that CMTV was setting-up or scripting its shows just like secular programming. Once the manifesto was issued, I no longer followed CMTV but I am now not surprised by the fact of an intimate connection between Fr. N. and CMTV. His talks, posted on Gloria.TV, were painful to hear. He always sounds like he’s addressing a group of first graders! Yes, and it’s demeaning! I once watched a video on his blog directed to Latin Mass Catholics. He told them under no circumstances can they go to an SSPX chapel, and if the only other choice is a blasphemous fun-and-games mass, well just “pull your veil down lower and pretend you’re at Calvary. Calvary wasn’t a pretty sight.” Imagine the nerve. I posted a retort and said how dare he say that. Under no circumstances should the faithful accept sacrilege as “Calvary,” as a norm for Holy Mass, the likes of which may be rendered invalid as unrecognizable form and intention. I don’t know if he kept my post there or deleted it. It’s for the common good (and even Rev. Nicholson’s) that this thread of hypocrisy comes out. It gives the hypocrisy a chance for some self examination and hopefully some wise changes. A ‘lawful ecclesiastical authority’ must be for the common good. If that person preaches and teaches against the common good (which ultimately is about the destination of our immortal souls far more than our worldly ‘freedoms’), the ‘lawful’ and ‘authority’ bit lose all their authenticity and he simply becomes an ecclesiastical poison and/or bully – in short, as Louie mentions the ‘abuse [of ecclesiastical authority] rather than it’s proper application’. We see this abuse of authority happening with Club Bergoglio in an unprecedented way. You do realize that Father Nicholson posted this video on April 30, 2014, correct? Let me repeat that year for you again. It was posted in 2014. As in exactly 364 days before Father Gruner passed away. Father Gruner died on April 29, 2015. So your justifiable anger is not justified at all and you are the one committing calumny. Whether it be by choice or out of ignorance. If you are going to write something like this, Louie, why don’t you at least get the bare minimum of facts straight? Yes, I do realize that it is quite a coincidence concerning the dates. But if you are going to post something like this you may want to really check out that date before putting your foot in your mouth. So let me repeat this in another way. Father Nicholson did not post a video critical of Father Gruner the day after he died. He posted the video 364 days before he died. PS. agree with the foot in the mouth stuff. We all do it, but Louie’s not the one who has. Sorry to take the wind out of your “aha!”moment, but of course I realize when Fr. Nicholson made that shameful video. There is no statute of limitations on calumny as far as I know. The day after Fr. Gruner died, he did in (bare minimum) fact take the opportunity to call attention to himself by “reaching deep into his storehouse of calumnies” for this miserable video (you do have at least some sense for what a storehouse is, no? ), posting it on his Facebook page along with a disingenuous message about Fr. Gruner’s passing. Come back soon, you little Crackerjack, you! This is all so depressing. We have all become secularist/modernists. We treat the hierarchy like politicians. We have priests who, having grown up in the secular world, do the same. All I can think is that Satan has done it, we are collapsing from within. Everything I have heard and read today about our Church has made me so sad. Then, I think, is this the suffering we must endure? When I see liturgical abuse, or infighting, do I accept it as another cross that I must bear? He is making the “shhhh” sign which is a famous illuminati symbol. This might seem like a trite observation to you, but I don’t think he is who he pretends to be. Infiltration of the Church by Freemasonry clear and simple, that is why he is so vocally against the SSPX, which will have nothing of the Globalist’s agenda nor the NWO. Now we have Francis falling right in line with the Globalist agenda of population control and carbon taxes. What could possibly be next, they are rollin to the finish line it seems. Jesus the Lord might be very wrathful when He returns. Are we living in the ERA of PEACE? Therefore Fr. Gruner was right. The consecration wasn’t done as requested. When I read Fr. Nicholson’s article blasting Fr. Gruner, I just couldn’t believe that anyone would publish such a defamatory article about this saintly priest.